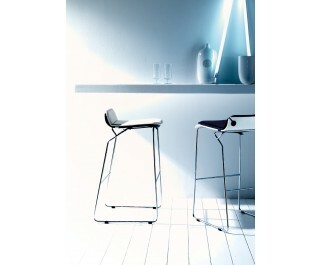 Stacking stool in chrome-plated welded steel wire. Shelve in curved natural beech, available also lacquered in different RAL colors. Cushion upholstered with fabric or leather.